After such fun last year with the On Delay crew in Colombia, Laura and Wren angled for a second meetup. Anywhere. The travel gods gave a thumbs up for Thanksgiving this year. The hitch? 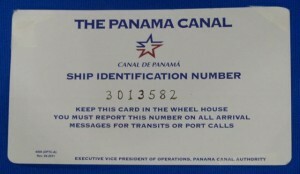 A fully land-based vacation with Jane and Tony as On Delay gets repaired and rejuvenated in Panama City. What are friends to do? Make the most of it! Saturday, September 7th, 2013 was a fateful day for On Delay. Pete, Gayle, Tony and Jane were happily settled into a quirky apartment overlooking the Las Brisas bay where On Delay lies at anchor. We had just finished listening to cruisers’ net on the VHF radio, it was about 8:20 am, and a terrible thunderstorm hit the area. The storm was right on us — the thunder and lightning crashed and flashed simultaneously. 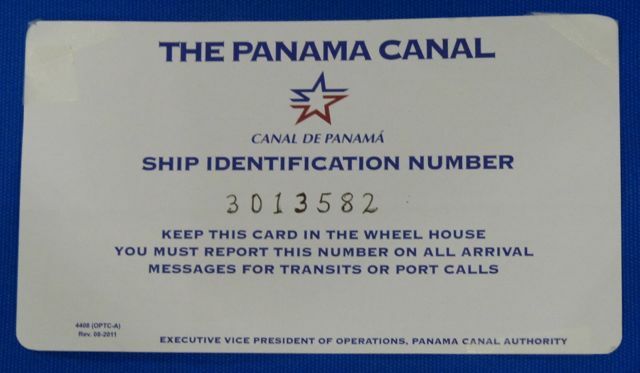 Okay, just one more blog about the Isthmus of Panama, and then I hope to have exorcised by my mild obsession with crossing from the Atlantic to the Pacific. For almost 60 years before the canal opened, one could transit via the “inter-oceanic railroad”. Miriam (14-years old) and her mom, Gayle, visited us on On Delay. When Miriam got back to school she wrote the regulation “What I did on my summer vacation” story but with a couple of twists: (i) it was posted as a blog on the school intranet and (ii) written in French. Here, we share the original French version and a somewhat different English version. Portobelo did charm us in the end. 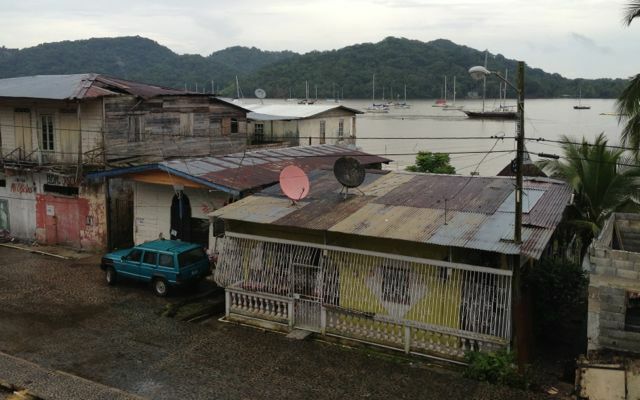 However, when we first arrived in Portobelo Bay at around 7 am, it looked depressing. It was showery weather; all the boats looked bedraggled and many rather tatty. They were certainly anchored close together. We anchored in a tight spot, close to town. Tony and I went ashore to determine a good location for Gayle M and Miriam to await their taxi pickup. On a wet Sunday morning, town looked even more depressing than the bay itself. Typical waterfront properties: Note the bars and lack of paint and rooves.